During the mid nineteenth century Andrew Jackson Downing, America’s premier nineteenth century landscape gardener, admired the garden at Chatsworth, the work of head gardener Joseph Paxton (1803-1865). You know since you need inspiration for a garden or landscape, you sometimes borrow ideas from other gardens you have visited. In one sense it is a high form of admiration. Downing, like any gardener, found a certain enjoyment in visiting such grand gardens as Chatsworth. They inspired his writing about the kind of home ladnscape America needed at that time, a fashion quite similar to the English garden, though adapted for the American home. He describes the landscape of Chatsworth in detail, including the water fountains, the rock garden, the arboretum, the greenhouses, and, of course, the lawn that gives the sense of a park to the estate. 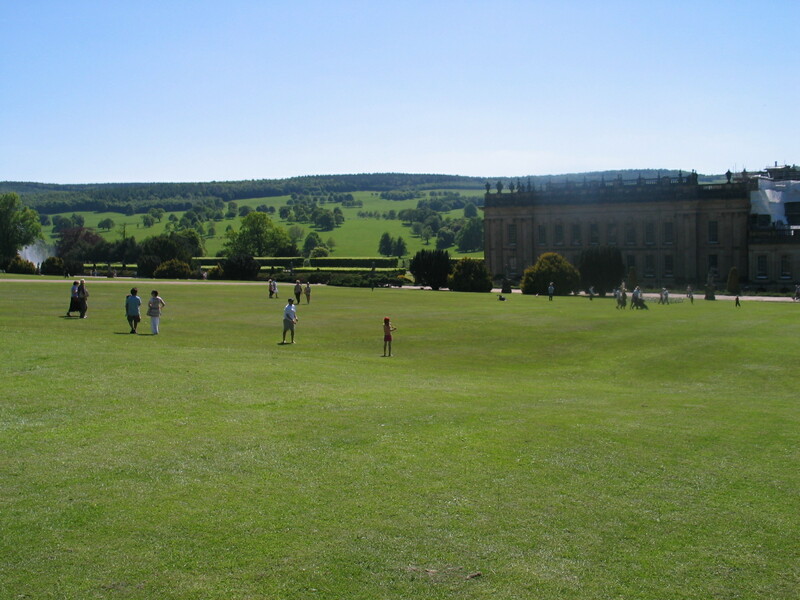 You can still see the Chatsworth lawn in the photo here. [below] It is a lawn that Capability Brown installed during the eighteenth century, bestowing upon it even more historical importance. Downing, a New York nurseryman who wrote several books and edited the magazine The Horticulturist, admired the English garden style. 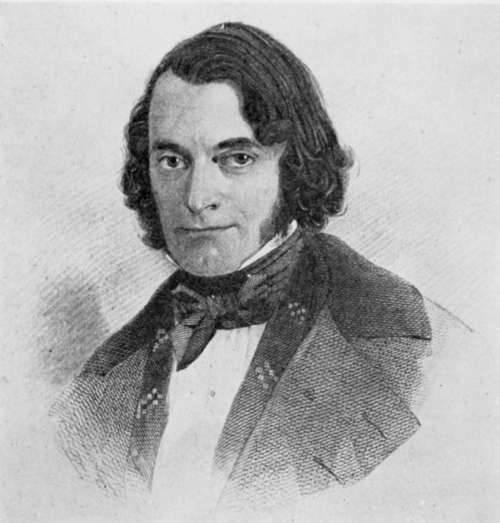 He admitted that his writing depended on the work of English horticulturalist John Claudius Loudon, who had published a garden magazine and many books. Loudon’s magazine also included articles written by Downing. Loudon was probably the most influential English garden writer in the first half of the nineteenth century. What style does your garden represent? Who is your inspiration for your garden? Downing admired Joseph Paxton’s English garden at Chatsworth. I’d like to think that Christopher Lloyd and Fergus Garrett at Great Dixter are my inspiration, but I’m really too lazy to work as hard as they do/did. 🙂 And who wouldn’t want a garden (and life) as romantic as that of Vita Sackville-West’s Sissinghurst? But then again, I truly admire Gina Price’s garden at Pettifers, which seems just perfect in so many ways. I don’t think I can pick just one! Lots of inspiration for your gardening. That’s wonderful. It is fun to trace the link that exists between old and new garden styles. Thanks.